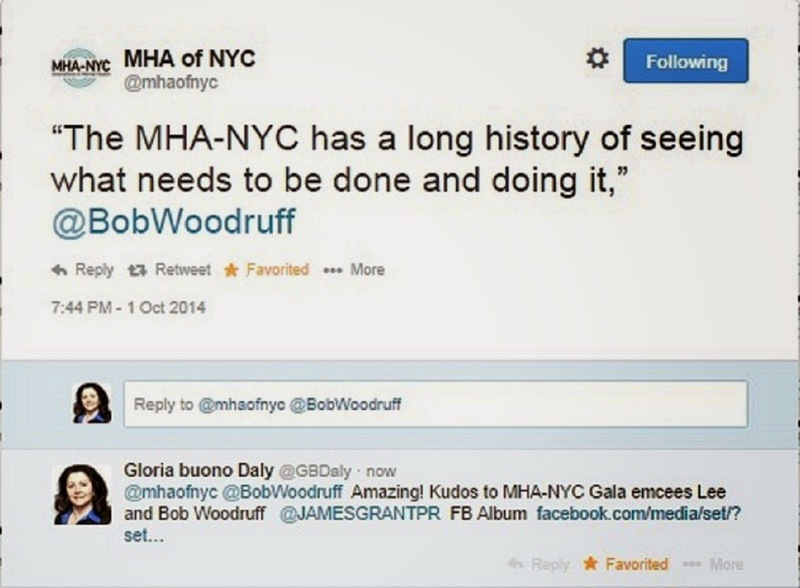 See what you missed video of the MHA-NYC Gala 2014 "Working for Wellness and Beyond"
Photo above left, snapshot of Bob Woodruff Tweet about MHA-NYC Gala honoring corporations hiring Veterans. Photo right of Bob Woodruff on the red carpet by Gloria Buono-Daly. 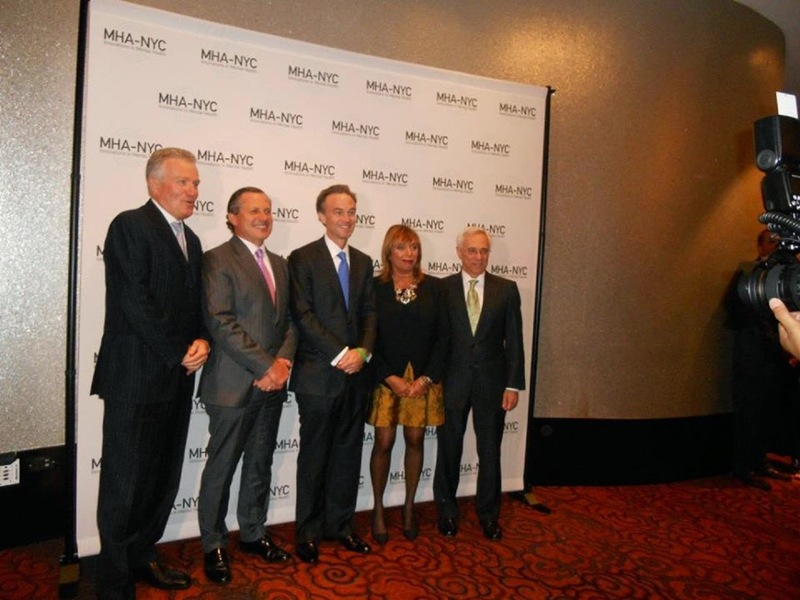 On Wednesday, October 1, the Mental Health Association of New York City (MHA-NYC, @mhaofnyc) hosted their Annual Gala at the Mandarin Oriental Hotel in New York City. More than 500 people attended the event, which raised over $1 million, a record-breaking milestone for this annual event. The theme this year, “Working for Wellness and Beyond,” recognizes companies committed to educating and employing veterans including America’s Armed Forces and service members who experience significant mental health issues and unemployment while transitioning back to civilian life. 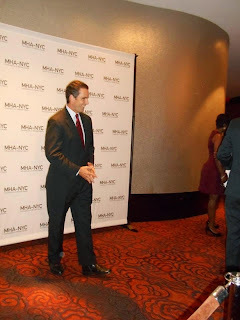 Award winning ABC news correspondent, Bob Woodruff was Master of Ceremony. Gregory J. Fleming, President, Morgan Stanley Wealth and Investment Management was honored for his commitment and support for educating and employing veterans. Also honored was Staff Sergeant Salvatore A. Giunta, for raising awareness about veterans ongoing mental health needs. Sgt. Giunta is the first living person since the Vietnam War to receive the Medal of Honor. Interestingly, of the 79 living Medal of Honor recipients alive today, Sgt. Giunta was one of the two Medal of Honor recipients attending the gala. Please bookmark this and share this with your social and professional networks. To get involved or to make a donation visit MYA-NYC web site. Photos already posted onto Facebook at https://www.facebook.com/media/set/?set=a.10152767868436435&type=1&l=94dc5adb32 Stay tuned for the “see what you missed” video to uploaded soon. NYC's Mandarin Oriental, known for its’ spectacular Manhattan iconic skyline views and locations in the heart of Midtown West Side, is one of the most luxurious hotels in New York City. 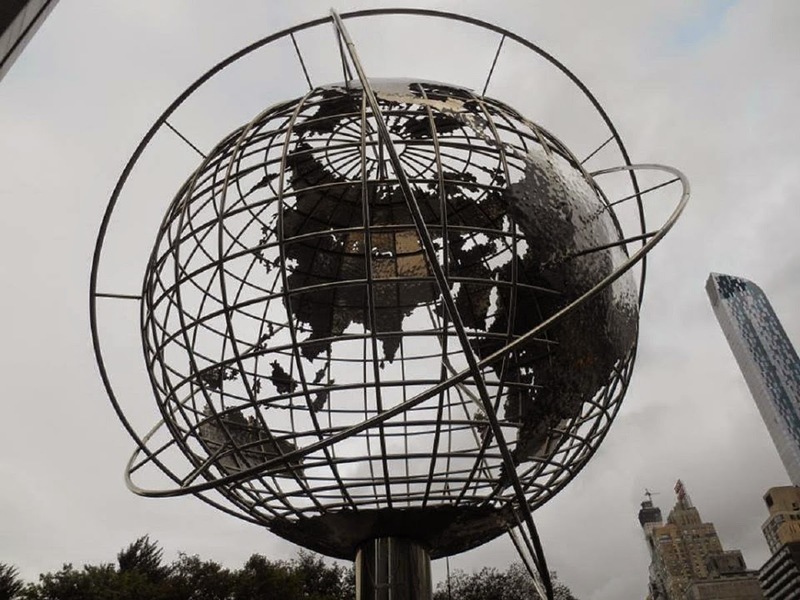 Photos right, Mandarin Oriental New York City and below left "Globe at Columbus Circle" sculpture adorns Columbus Circle by Gloria Buono-Daly, Founder of AllThingsDigitalMarketing.com. 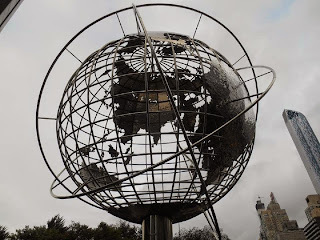 MHA-NYC MISSION: The Mental Health Association of New York City (MHA-NYC) is a not-for-profit organization that addresses mental health needs in New York City and across the nation. Through our three-part mission of service, advocacy and education, we identify unmet needs and develop culturally sensitive programs to improve the lives of individuals and families impacted by mental illness while promoting the importance of mental health. Our subsidiary, Link2Health Solutions, is a leading innovator developing technology and communications infrastructure critical for supporting the emotional wellness of individuals and communities in need. Together, MHA-NYC and Link2Health Solutions provide high-quality services that reach more than one million people every year. 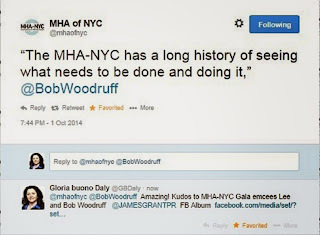 For more information visit MHA-NYC web site . 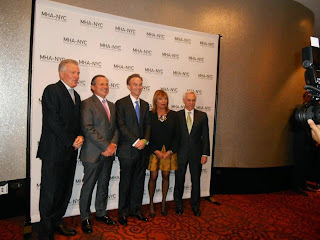 Event photos already posted on Facebook at MHA-NYC 2014 Gala - Working for Wellness and Beyond . 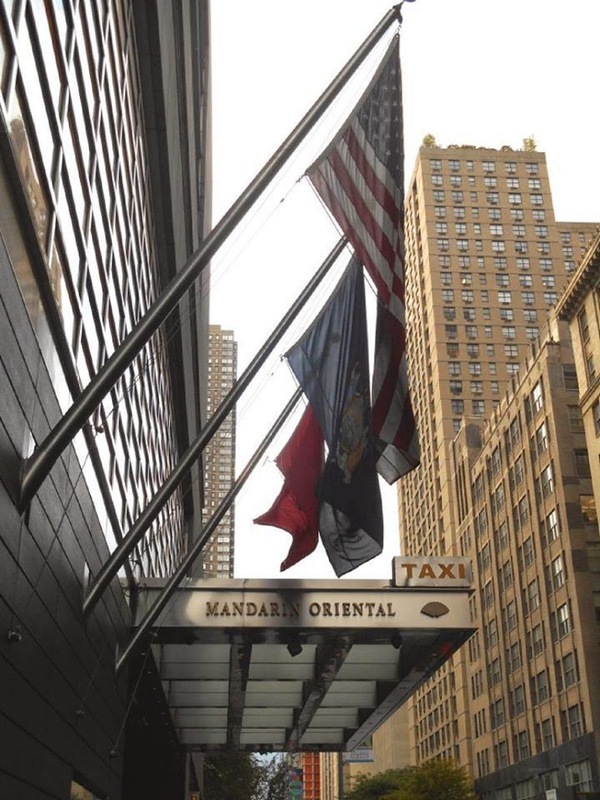 Stay tuned for the exciting “See What You Missed” video of the event which will include interviews from the MHA-NYC CEO as well as special guests.